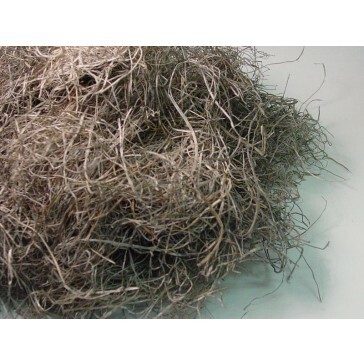 Fiberex Moss is a long lasting economical top dressing made from premium Great Lakes aspen wood fibers that provides more coverage per ounce than organic mosses. 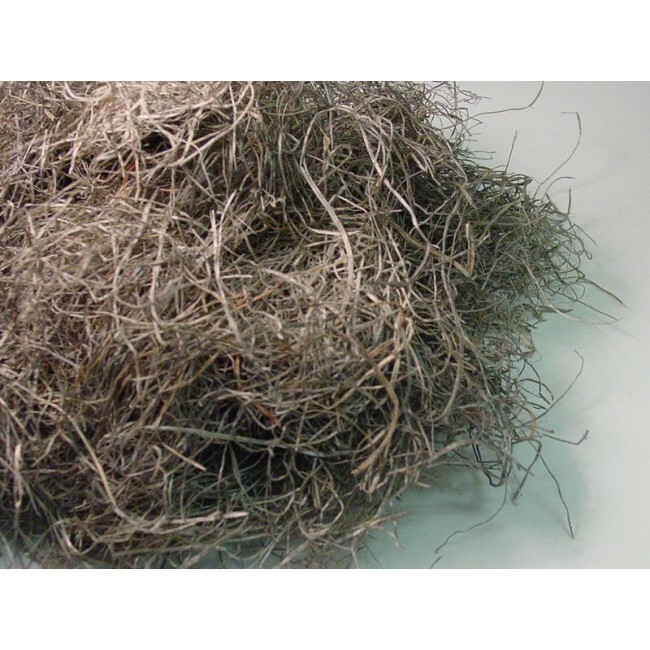 Fiberex Moss is dyed a natural gray color to have the appearance of fresh Spanish Moss without the associated bug problems. It is clean, non-allergenic, dust free, and biodegradable. Choose the flame resistant feature for a combustion modified moss that meets local fire codes for public facilities. 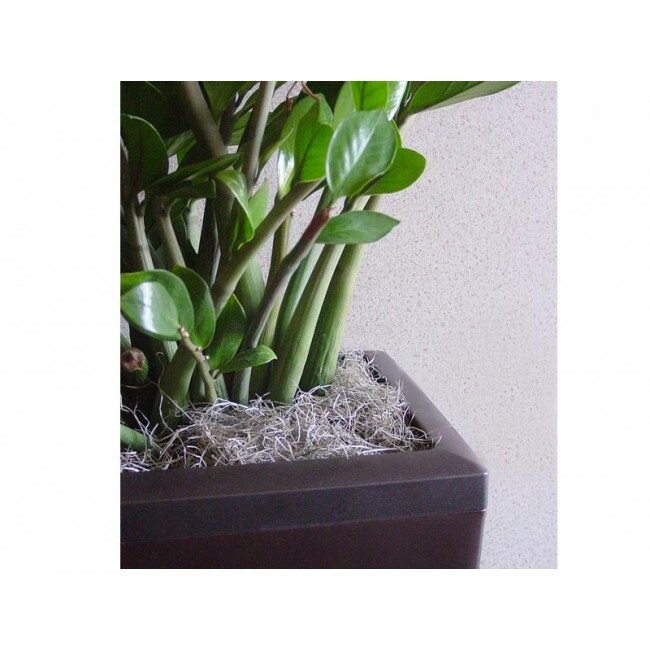 To avoid rinsing off the flame resistant covering, be sure to lift the moss before top watering your plant.